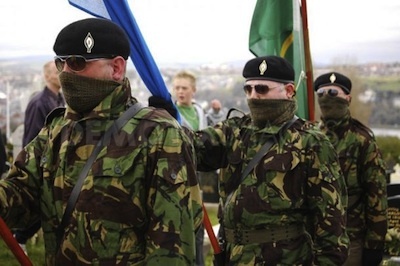 A regrouping of previously distinct breakaway IRA groups is being described as the most significant development within physical-force republicanism since the Provisional IRA split in 1997. 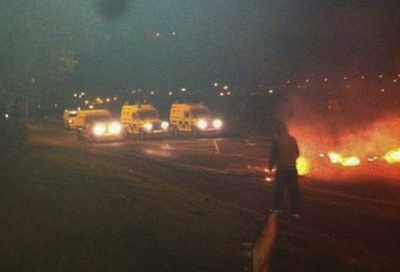 A PSNI operation to remove materials gathered to build a bonfire marking the anniversary of internment sparked four nights of riots and disorder in the nationalist Galliagh area of Derry this week. 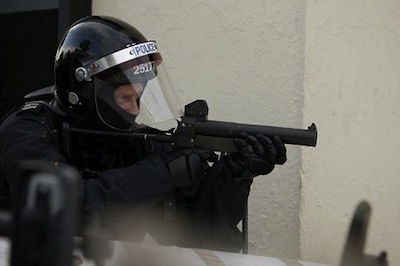 Five intelligence documents were deliberately withheld from the Smithwick Tribunal by the PSNI police, the force has said, deepening the mystery over a profoundly murky incident from 1989. 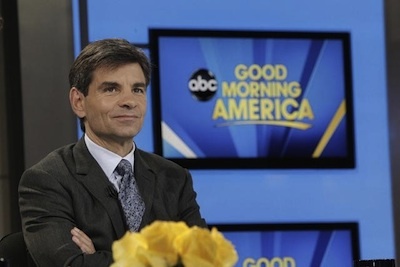 US television network ABC was this week forced to apologise live on air for branding the victims of Bloody Sunday as ‘IRA protesters’ in a recent news report. 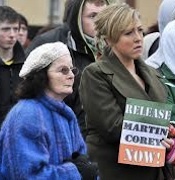 The European Court is to be asked to challenge a decision to overturn a ruling that internee Martin Corey should be released from prison. 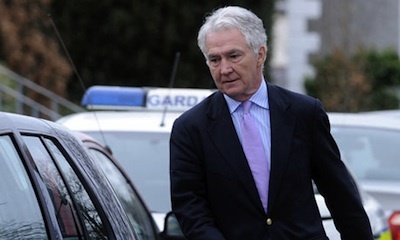 The former chairman and chief executive of Anglo Irish Bank, Sean Fitzpatrick, and two other former high-ranking executives at the bank have finally been charged with offences relating to white-collar crimes at the collapsed bank. 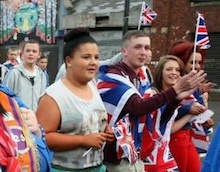 Activist Tommy McKearney argues that by refusing to meet the English queen, Martin McGuinness missed an opportunity to not only explain a republican position but also raise questions about the very nature of the British monarchy. 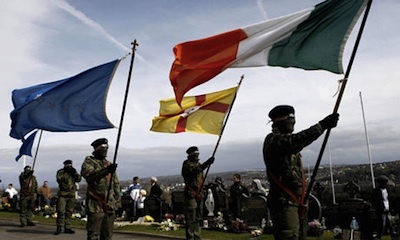 The Real IRA and a number of breakaway IRA organisations, including Republican Action Against Drugs and Oglaigh na hEireann, have come together to issue the following public statement this evening in the name of the IRA Army Council. 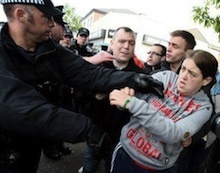 The fallout from the decision to force an anti-Catholic parade through Catholic north Belfast on July 12th continued this week with a series of arrests. 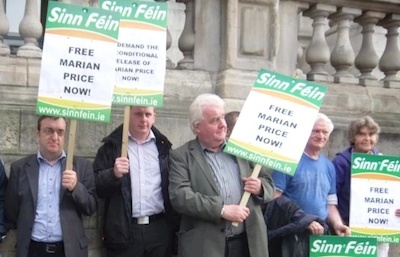 Sinn Fein’s party leader Gerry Adams has challenged the British Direct Ruler, Owen Paterson during a meeting at the Dublin parliament over political prisoners in the North, including the continued imprisonment of Marian Price and Martin Corey. 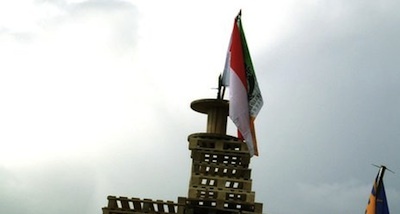 The Polish community in the North have reacted angrily after it emerged that Polish national flags were placed on loyalist bonfires alongside Irish tricolour flags in a public display of racism and bigotry. 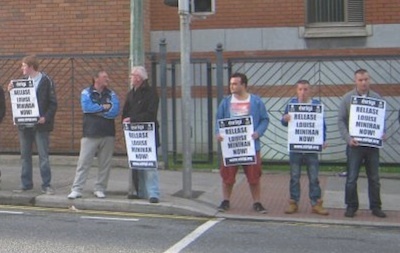 The International Monetary Fund has ordered the Dublin government to slash dole payments, cut child benefit, and take medical cards away from more old age pensioners. All Opposition members of the Dublin parliament walked out of the Dail chamber on the last day of parliamentary session in a rare protest at the government’s handling of legislation on Gaeltacht (Irish language speaking) areas. 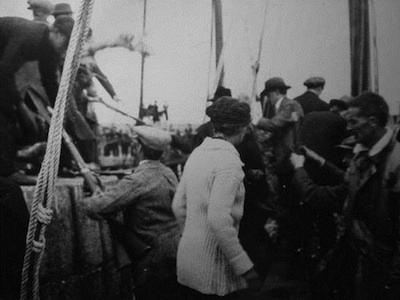 In response to the Larne gun-running in arming the Ulster Volunteers, the Howth gun running was intended to redress the balance by providing arms to the Irish Volunteers. It took place in Ireland on 26 July 1914, 98 years ago this week. 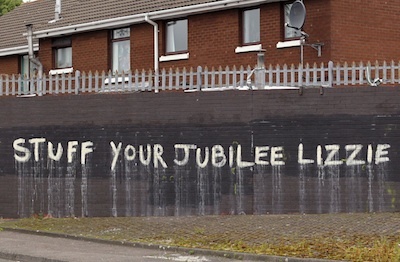 A resident’s analysis of events in north Belfast this week. 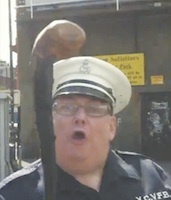 The sound of gunfire echoed across north Belfast on Thursday night following disturbances over an incendiary and bitterly opposed sectarian parade. 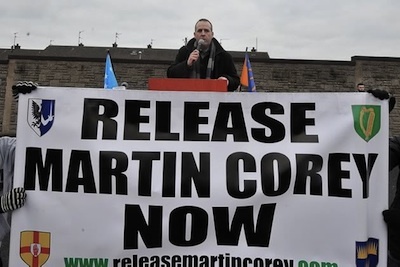 Irish political dissident Martin Corey remains in jail this weekend after a Belfast High Court decision to release him was initially blocked by the British government before being controversially overturned by the Court of Appeal. Efforts to prevent a peace process ‘research project’ being used to prosecute and jail senior republicans suffered a setback this week following a court ruling in Boston. The annual period of sectarian strife surrounding the July 12th marches saw an increased number of loyalist ‘Eleventh Night’ bonfires. 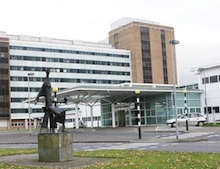 The 32 County Sovereignty Movement has condemned what it said was a recruitment attempt by British MI5 agents which took place at the breast cancer unit at Altnagelvin Hospital in Derry. 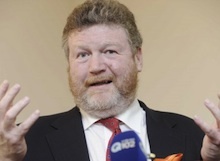 Sinn Féin has strongly challenged the leadership of the Labour Party this week after the 26-County Minister for Health James Reilly was publicly named in Stubbs Gazette over a 1.9 million euro bad debt. 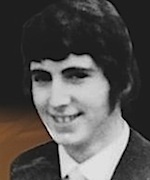 Martin Hurson became the sixth republican to die on hunger strike on this day in 1981. In this archive article, his fiancee Bernadette Donnelly recalls the place where the couple grew up. 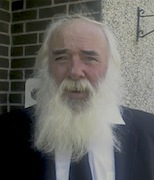 The British government is to bring an appeal tomorrow against Martin Corey’s legal victory against his internment, it has emerged. 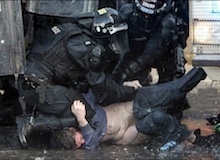 Mr Corey was released on bail yesterday [Monday], but his release was dramatically blocked at the request of the British Direct Ruler, Owen Paterson. 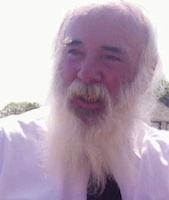 A veteran republican today won his court challenge against his internment -- but his release was dramatically blocked by the British government. 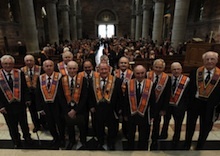 This week saw the latest charm offensive launched by the Orange Order. 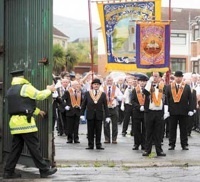 A provocative sectarian parade by the anti-Catholic Orange Order has again been given permission to march past the nationalist Ardoyne shops area of north Belfast. 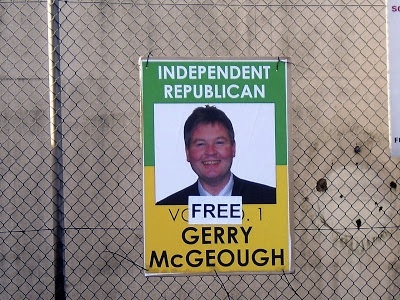 The Court of Appeal in Belfast has rejected political prisoner Gerry McGeough’s attempt to secure his release on the grounds of discrimination in the issuance of pardons. 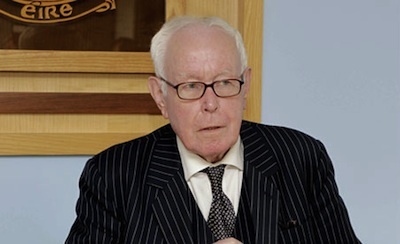 One of Sinn Féin’s most senior councillors has quit the party in protest at Martin McGuinness’s meeting with English queen Elizabeth Windsor. 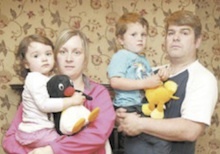 A Catholic mother-of-five says she has been forced out of her County Derry home after a five-year campaign of sectarian abuse. SDLP deputy leader Dolores Kelly has called on the Six-County justice minister to probe the investigation into the murder of journalist Martin O’Hagan, describing the lack of action as “unacceptable”. 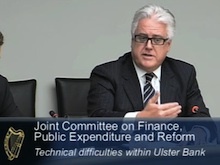 There have been calls for the head of Ulster Bank to resign after the bank was unable to process routine financial transactions or release funds for a third week. 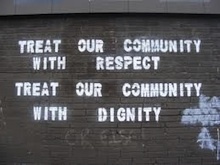 Every July, young people from Ardoyne are criminalised and demonised by the mainstream media in the Six Counties and beyond because of violence associated with unwelcome sectarian marches that are forced through our small community. 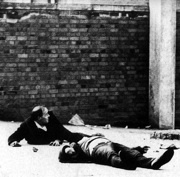 Forty years after the infamous atrocity in which British paratroopers shot dead 14 innocent civil rights demonstrators and injured another 22, a police investigation into the Bloody Sunday massacre is possible, it has been announced.